These past couple of months I’ve been working closely with the many elements of nature. The moon, sun, rivers, sea and even gardens have become sharing friends, each one eager to teach. I’ve been using them as tools to empower and cleanse my Aura, ease my mind and help me appreciate and learn from all the experiences around me. 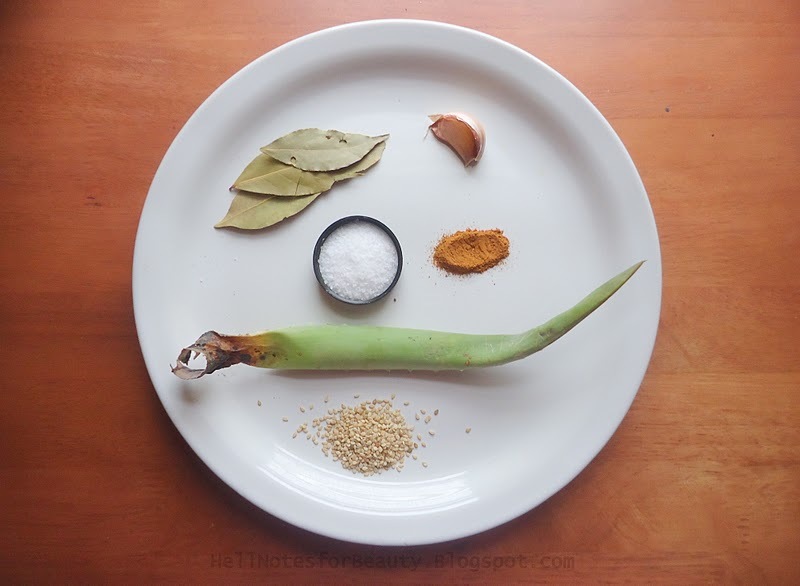 Not only have I been connecting with the elements of nature found outside my home but interestingly enough with the everyday elements inside my kitchen as well. With a clear mindset and established intent you can discover how empowering everyday items can actually be. In the following you will find some tried and tested ingredients I’ve been using to cleanse my aura, attract prosperity, peace, as well as create a serene ambiance for my surroundings. How I use it: I use sea salt to clear my space before meditation. 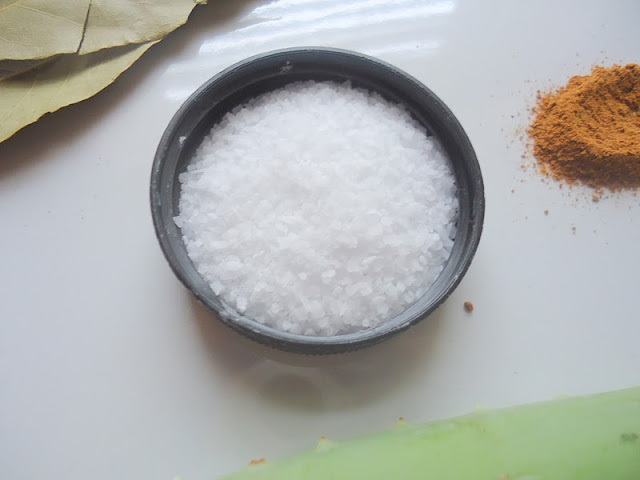 I also like to sprinkle a little sea salt in all the corners of my house to help purify my home from negativity. I also sprinkle a little along my door way. This helps purify and clear your surroundings of negative and low vibrations as well as keep those types of energy from entering your home. How I use it: Ever head the term open sesame? That saying is actually associated with the sesame’s ability to help open the way to secret ways and treasures. 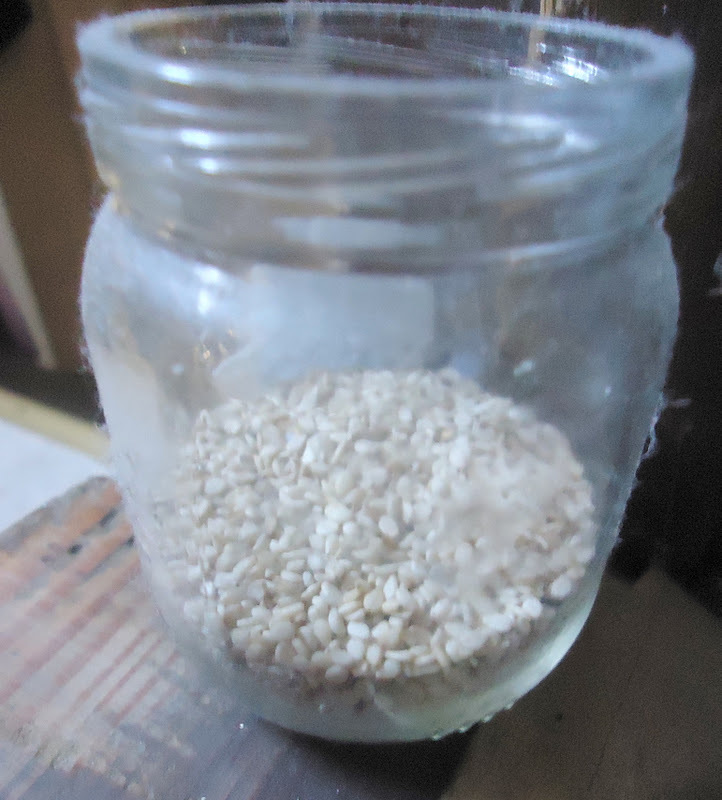 On those days I feel like my luck is not running too smoothly or I get into my “I’m feeling stuck” ruts, I take a jar of sesame seeds and leave it open in front of my door way. According to Cunningham’s Encyclopedia of Magical Herb’s, keeping a jar of sesame seeds open draws cash to it. I use it however to open my mind and keep me from letting my daily routine get the best out of my creativity. This jar in particular was due for a fresh refill…..but you get the idea. Sesame seeds are associated with Ganesha the deity that removes obstacles from your path. So I try to use things that will help keep negative and fearful thoughts away. I have a small altar for Ganesha in which I offer sesame seeds to and candy every now and then to help with my personal developments as well. 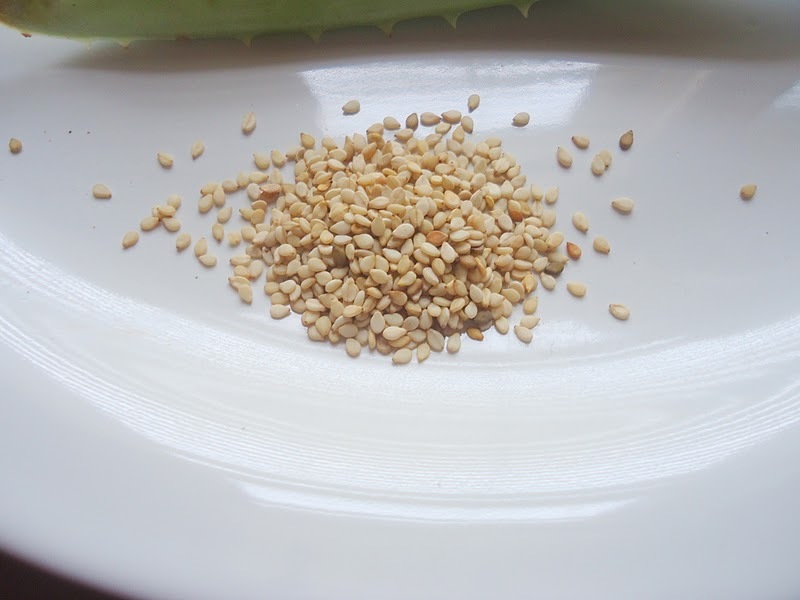 Overall Sesame seeds can be used to attract all things prosperous. 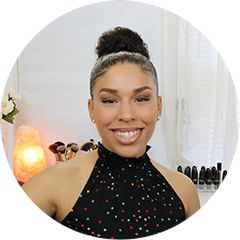 How I use it: Cinnamon is my favorite because of it’s versatility. 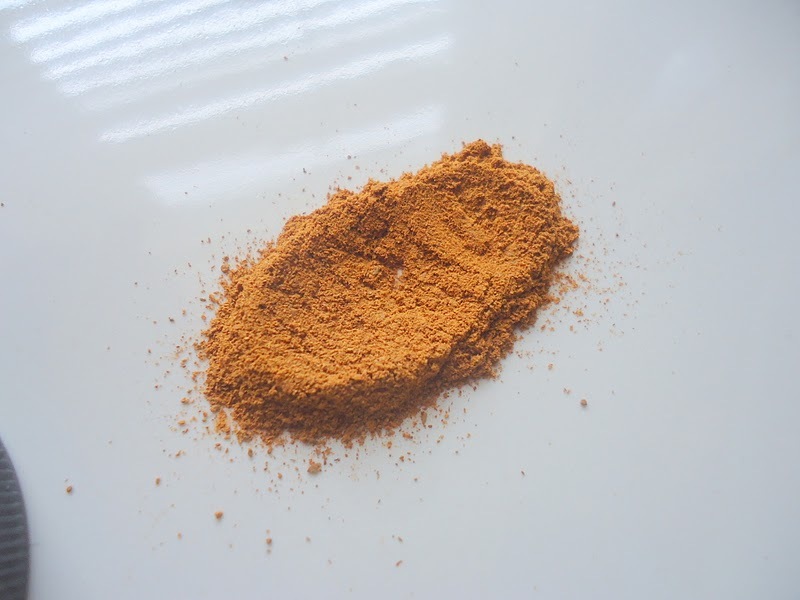 One of my favorite uses for cinnamon is to lightly powder my body with cinnamon to provide my Aura with a boost of protection. I do it over my pajamas to prevent staining and let the aroma linger before I head out for the day. I also use it with my oil burner, as well as an incense on charcoal to purify my area. 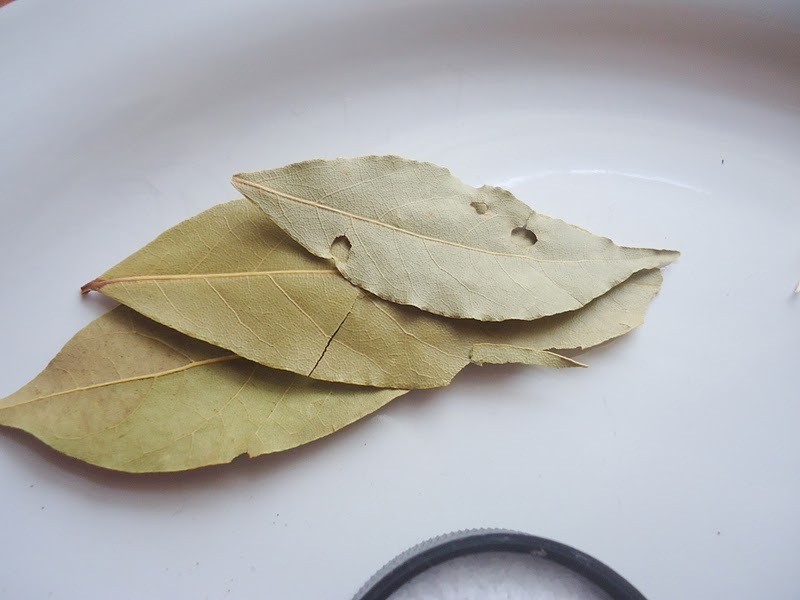 How I use it: Bay leaves are very versatile and powerful. I like to add this to my floor washes around the house to help clear negativity. Bay leaves are very protective meaning they can be used to strengthen your aura as well as protect the home from questionable vibrations. When I notice a little more activity around my house, such as arguments, illnesses and lack of concentration, I grab me some bay leaves along with rosemary (another fabulous protective herb). I then add a dash of cinnamon, boil them for about an hour and once the floor wash is cool I mop my house with the water. This is great to give your home a boost in protection as well as clear it of any vibrations others may have left behind. 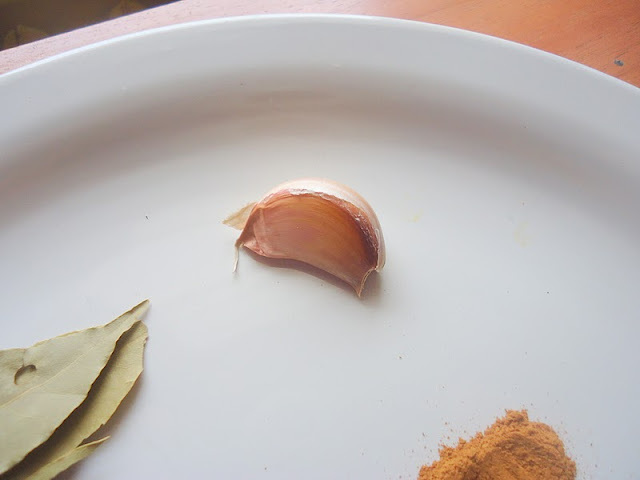 How I use it: Garlic is a well known protectant. It it said to help protect against negativity, vampires and diseases. I usually place an entire stack of garlic right above my door to keep away any negative vibrations from entering my home. I also keep one clove like the one above right under my desk at work. I work with a lot of envious and negative people so I keep a clove at bay to keep their enerhgy from influencing me and my work. 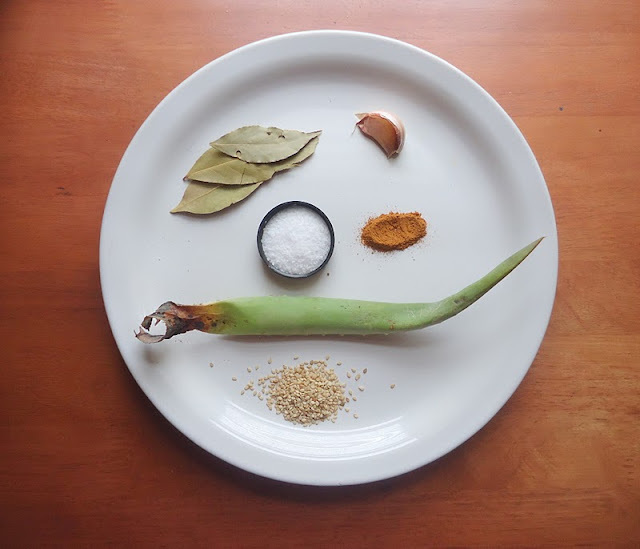 How I use it: My aloe vera plant are great for many of my cosmetic uses and well as magical. I like to keep an aloe vera plant to help prevent accidents and well as for luck. It’s been known around the world to use aloe over doorways to keep evil away.Mostly used in Mexico where many tie red ribbons around the aloe plant to enhance it’s protective qualities. These are just basic items I like to use and have been researching for quite some time to help me understand the old ways in which many of our ancestors interacted with their higher selves and the natural things around them. A lot of people may find this strange but despite society calling this “new age” stuff, it’s really been around for ages in which many of my ancestors found to be second nature…………. Even though I prefer to get most of my vitamins and minerals from the foods I eat, I also like to incorporate herbal supplements into my diet, trying out a new one every 6 months or so. When choosing a supplement I tend to gravitate toward the immune boosting types especially to help with my sinuses and maintain energy levels. While reading an article about Ashwghanda last summer, I put it on my “to try” list and finally got the chance to buy it. I’ve been working long hours at my new job, my sinuses have been flaring much more than usual and my sleeping pattern has been rather sketchy. So I decided to pick Aswaghanda up to help with all the changes my body seems to be experiencing. My research into Aswaghanda led me to adaptogens and the supplements that fall into that category. 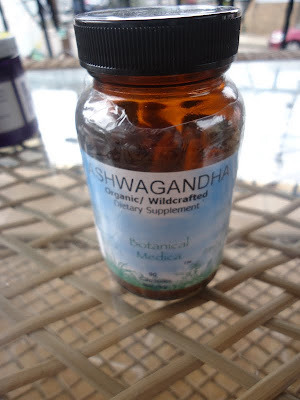 There are several different types of herbs with adaptogenic qualities, some I’ve been familiar with (Ginseng) and others I’ve never heard of like Ashwaghanda, which is why Ashawaghanda is the herb to know of the moment. A very popular herb throughout India and the ancient medical system of Ayurveda, Ashwaghanda has many qualities essential for those of us who tend to live a rather fast paced, stress filled lifestyle. Very simply put, adaptogens are basically different types of herbs known to help the body resist and combat stress. Ashwaghanda is one of them. Just like the term Adaptogen implies it helps you adapt to changes while helping your body become balanced and healthy. Adaptogens are known to also help rejuvenate and restore the mind and body overall. Not only does it aid the body with all types of stress be it environmental, emotional or social, adaptogens also posses the ability to help protect against cancer, memory loss, cell degeneration as well as lower stress hormones. What can Ashwaghanda be used for? 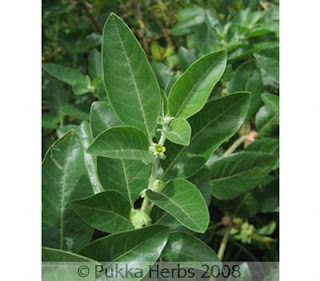 Ashwaghanda is an adaptogen known to help subside the damaging effects stress has over the body and mind in general. Constant stress, malnutrition and an overall fast paced life style can take a toll on the many systems in our bodies. The immune system, nervous system are all susceptible to weakness due to the amount of stress we tend to expose ourselves to. Which leads the body into over drive trying to constantly protect the body while attempting to achieve balance. Ashwaghanda calms and protects the nervous system benefiting those who deal with depression and anxiety all related to stress. Ashwaghanda also lowers stress hormones which suppresses the immune system especially when the body is under excessive stress. Ashwaghanda has the ability to also encourage the brain to regenerate new brain cells which makes it a great preventative treatment to help prevent neurodegenerative diseases such as Parkinson’s disease and Alzheimer’s. Helps maintain a clear and focused mind. As with everything, keeping track of your dosage is important. I pay a lot of attention to my body and try to take notice of any changes when trying out new supplements. On Sept 5 (when I started taking this supplement) I started with 2 capsules for 5 days for two weeks, taking a two day break on the weekends. Then I cut down to one every other day for another 2 weeks up until Sept 30. Throughout that time I noticed I was much calm and able to concentrate throughout the day. My energy levels were adequate enough to get me through the day and falling asleep was much easier. 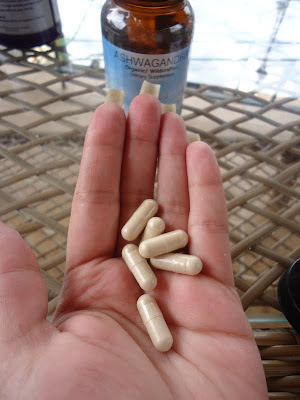 Unlike spirulina which gave me marathon like energy (which I liked but was not letting me sleep), Aswaghanda provided me with gradual energy. I was able to get enough energy to get through my 10 hour work day without it interfering with my sleep. I noticed how calm I felt overall but by week 4 Sept 30 that Friday, I stopped taking Aswaghanda. The reason being that by week 3 I was getting flu like symptoms of getting a cold or getting sick but never quite did. I’ve read that adaptogens can give make you feel that way, which is basically the body cleansing itself. So I gave it another 3 days then stopped. I’ll go back on Monday Oct 10 ending my 10 day rest. I’ll be on it for the rest of the month until further notice. Overall Aswaghanda helped me take things easier and provided me with a lot of restful nights. Before trying any supplement make sure to consult with your doctor to avoid complications. As always do you research and find what works best for you as an individual. There are many type of brands that sell Ashwaghanda. I got mine from my local natural health store for $22.00. Organic and all natural. So make sure to purchase your from a trusted vendor.